TUESDAY, Jan. 6, 2015 (HealthDay News) -- Nearly 15 percent, or about one out of seven, middle-aged and older U.S. adults suffer from lung disorders such as asthma or chronic obstructive pulmonary disease (COPD), health officials said Tuesday. While 10 percent of those people experience mild breathing problems, more than one-third of them report moderate or severe respiratory symptoms, the U.S. Centers for Disease Control and Prevention (CDC) reported. "There are a huge number of Americans that experience lung obstruction," said Dr. Norman Edelman, a senior medical advisor to the American Lung Association, who was not involved in the research. "It's a major problem; it's the third leading cause of death in the United States." People with asthma or COPD -- which includes emphysema and chronic bronchitis -- have reduced airflow and shortness of breath. For the report, CDC researchers analyzed national survey data on adults ages 40 to 79 between 2007 and 2012. The research team looked at results of breathing tests or self-reported oxygen use to determine the prevalence of lung obstruction. "The number of adults with lung obstruction has remained fairly stable since the last time these data were collected, in 2007 to 2010," said lead author Timothy Tilert, a data analyst with CDC's National Center for Health Statistics. According to the report, the incidence and severity of these lung diseases were similar for men and women, but prevalence increased with age. 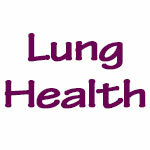 For example, 17 percent of people 60 to 79 had COPD or asthma compared with about 14 percent of those 40 to 59. Also, severity of asthma or COPD -- which is usually caused by smoking -- was related to education level, Tilert said. People with some college education had lower rates of moderate or severe disease than those with less schooling. Among people with either disease, more than half said they had one or more symptom, such as shortness of breath, wheezing, chronic cough or chronic phlegm. For those with moderate to severe disease, more than 80 percent said they experienced at least one symptom. Shortness of breath was most common. Tilert said the survey did not consider COPD and asthma individually, so separate figures for each disorder aren't available. However, because of the age of the population in the study, Edelman said these data probably are picking up more cases of COPD than asthma. COPD is a progressive, debilitating disease without a cure, he said. "Treatments are directed at symptom relief, so we have airway expanders and oxygen if the COPD is severe," he said. "There are also anti-inflammatory drugs that are used to reduce the number of flare-ups." Flare-ups are usually caused by infection, Edelman said. Lung function decreases after each episode, he added. Some people can live with COPD until they die from another cause, Edelman said. "But there is a fairly large number of people whose COPD gets worse and worse and they die of COPD," he said. About 85 percent of COPD cases are related to smoking, although sometimes asthma progresses to COPD, he added. "The majority of COPD can be prevented by not smoking," he said. With fewer Americans smoking, Tilert said COPD incidence will likely decline as more nonsmokers age.